By 2020, we are targeting to achieve high income nation status. 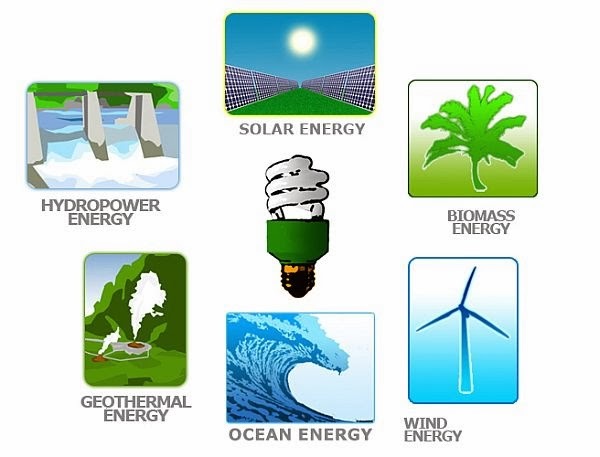 And by 2020, for every 10 units of energy that we used, 1 unit must come from renewable sources such as solar, wind, biogas, geothermal, biomass, etc. 11% is about okay? I think, with some 'help' from the fossil fuel sector, we can achieve more than that; a 15% should be more like it. Malaysian Energy, Green Technology and Water Ministry recently unveiled its target of achieving 11% renewable energy usage by individual consumers and the industrial sector by 2020. Currently the ministry estimates the usage of renewable energy generated by solar, biogas and biomass in the country to be 1.5% and hoped this percentage could be increased every year. To purchase solar panels and install the system, consumers can apply for loans at the participating banks and the government will bear 2% of the loan interest. This is according to the ministry's deputy minister, Mahdzir Khalid. To date the country had used only 862.4 megawatts (MW) of the renewable energy, not including hydropower which contributed 3,281MW. The implementation of the Feed-in Tariff (FiT) system in December 2012 saw demand from the community, that is, 2,760 applications received for the production of renewable energy with a quota of 536MW. To increase the level of effectiveness and efficiency of the FiT system, the ministry plans to introduce other mechanisms including more competitive bidding and renewable portfolio standard. Regarding this 'more competitive bidding' thing. During one of the New Electricity Tariff Roadshows by SESB which was attended by SEDA recently, I asked what sort of mechanism SEDA is applying to acknowledge the interest of bidders who are un-successful in their bid but keep bidding. Aren't they supposed to be getting some 'priority' now when the next RE quota become available? The presenter, a CCO at SEDA answered that, it is an interesting question; they recognised it and they are working around the issue so that genuine bidders will eventually get their quota.